Hello friends, as Power Rangers get closer to being on air for 25 years, I want to do a very special fan fiction. All my other fan fictions, I didn't like at all and that is why I got rid of them. They weren't unique and special like my other two fan fictions were, where I apologize for leaving you guys with a cliffhanger. I know I can write and finish with this fan fiction because Power Rangers is so dear to me because I have watched it from the beginning. I was only 11 years old and I thought that was the coolest thing on Earth. Later on, I realized it came from Japan as Super Sentai and immediately fell in love with that. Even though this is Power Rangers and a fan fiction; I am going to include a few of my favorite Super Sentai actors as well. This is going to be a mix of Power Rangers, Super Sentai, and Kamen Rider. The suits I have figured out, aren't going to be like that of Power Rangers but more or less like Super Sentai's after they have an anniversary season. The suits were different with Go-Busters (Beast Morphers) because it was season 36, Gekiranger was different due to their 30th anniversary season, Boukenger, and Kyuranger was different due to it being season 41. You get the idea. This fan fiction is based around a fictitious Anaheim, California since I only have been their once to go to Disneyland. Hope you enjoy it. "I am so looking forward to this year at Power Morphicon!" Mikey stated, so excitedly to his mother, driving him. "Yes, honey," his mom said, pulling in front of an airline gate, "You are going to have a lot of fun. Now remember, call me when you land in California." "Yes mom," Mikey said, rolling his eyes. This is Mikey's third time going to Power Morphicon and as tradition, his mom drives him to the airport. Mikey is a 36 year old man with curly dark brown hair and a beard. He has brown eyes and has a few tattoos on his arm. On his left arm he had a tattoo of a phoenix which is pretty much covering his lower part of his left arm and on top is a picture of two wolves in the shape of the Pisces symbol (the two fish circling around) and in the middle of the two wolves circling around is the Pisces symbol. On his right arm, just above his elbow is a crown of thrones wrapped around his arm and two inches above that is a heart with a cross in the middle with rays coming out of it. The left side is black and gray while the right side has color to it. Mikey is a little overweight but is working real hard to get fit from his trainer. He kisses his mother good bye and makes his way into the airport. His flight is in about an hour and a half so he has time. He makes his way through security and gets to his gate. He sees an empty seat next to an old woman and goes and sits down. He can finally relax. 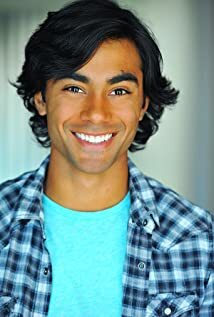 He looks through his Twitter account and sees a message from Mike Ginn, a Power Ranger actor who played Boom, the Series Operator Gold Ranger on Power Rangers RPM. The message reads that he can't wait to meet him at Power Morphicon. He checks his Facebook and notices that Peta-Marie Rixon, who played Alpha 5 in the Mighty Morphin Power Rangers movie, wishes him a safe trip. He felt very good about himself. He felt that he was actually talking to people and not "movie star" people. Mike and Peta-Marie were just normal people to him that he grew to have good conversations with him. Peta-Marie was the one who talked to him while waiting for his boyfriend, now ex-boyfriend, but still she talked to him, calming his nerves. 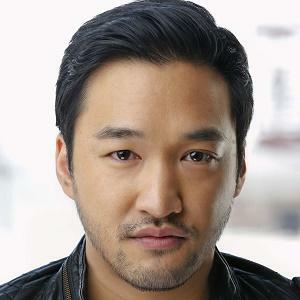 Mike he remembered making that Power Ranger Ultimate Alliance video and Mike was the one who told him that the video was awesome. And now Mike has a stream on Twitch that he watches. Things like that really mattered to him, because he grew up not really having that many friends and just being able to have a normal conversation with them, meant the world. Sure there were some Power Ranger actors that he has crushes on and wouldn't know what to do if they talked to him, but other than that Mike and Peta-Marie were pretty cool. An announcement came through the speaker as he was checking on his phone, "Flight 4455 is cancelled dude to a freak storm. If you are scheduled on this flight please come up to the desk and we will make arrangements." Mikey was so disappointed because he was suppose to arrive to California at noon so he could meet up with his friends, Daniel and Matthew since they were sharing a room together. He was about to go up to the desk where the message told him to go, but the old woman, who was sitting next to him, turned to him and grabbed his wrist. "Excuse me!" Mikey shouted, trying to pull back, but couldn't because the woman was so strong, "Let go of me!" Everyone in the airport turned to Mikey and for some reason no one saw the old woman sitting next to him. One guy sitting behind him asks if he is alright. Mikey looked at everyone and asks if they see the old woman grabbing at his wrist. They shake their heads and the guy says he must have been dreaming. Mikey is so confused and smiles, awkwardly and agrees that he must be dreaming, even though he still sees the woman. The woman, although grabbing him, had a kind look on her face. She had long white hair and hazel eyes. She wore a beautiful sun dress and smelled like lavender. She finally lets go of his wrist. "I'm so sorry," the old woman says. "Who are you?" Mikey whispers so not to draw anymore attention. "My name is Melody and I believe you can stop an evil presence that has come into your world," she said. "What?" Mikey asked, still whispering, "What are you talking about? An evil presence?" "Yes!" Melody said, "His name is Game Master. He takes controls of universes by creating deadly games and he ends up destroying all of humanity. I am from an Earth similar to this one but we were connected to a grid called the Morphing Grid. Have you ever heard of it?" "The Morphing Grid?!" Mikey exclaimed, having people look over to him. Soon two security guards came over. "Sir, is everything alright?" one guard asked. "Um..yeah!" Mikey nervously said, "Um...I...I was just thinking to myself about how the Power Rangers gets their power." "Power Rangers?" one of the guards said, "Sir, I think you need to come with us. You are causing a scene here." Before Mikey could do anything, Melody stood up and her hazel eyes started to glow white. This freaked Mikey out a little bit and Melody raised our her hands and a huge white light beamed out and went through the whole airport. When the light faded, everyone was looking around them. Mikey noticed that no one could see him now and that he was invisible to them all. The guards started scratching their heads in confusion and this caused a bit of a panic because the man just disappeared before their eyes. "What did you do?" Mikey asked, looking amazed. "I just brought us to a different dimension," Melody said, "The Gaming Dimension. This is where Game Master uses his power and brings the Gaming Dimension to reality." "Isn't it dangerous?" Mikey asked, "Wouldn't this Game Master see us?" "No," Melody said, "he is fixed on California." Melody said, "So you know the Morphing Grid?" "Well it's part of a television show that has been around for twenty-five years," Mikey said, "The show is called Power Rangers." "So Power Rangers are just made up television characters?" Melody asks. "Well, my Earth that I come from," Melody said, "There is, or I should say there were Power Rangers." "What happened to them?" Mikey asked. "They were all destroyed by Game Master and his minions," Melody said, looking down with a heavy heart, "I tried to stop Game Master from destroying everyone but what could an old woman do? I am just the Keeper of the Morphing Grid. Zordon..."
"Did you say Zordon?" Mikey interrupted. "He is a real person?" Mikey asked. "Well of course he is real!" Melody exclaimed, thinking that was a huge insult, "Zordon was the greatest mentor who ever lived. He sacrificed himself to preserve peace. If he hadn't, who knows what would have happen." "Calm down," Mikey instructed, "Remember, in this universe Power Rangers is just a television show and Zordon was a character." "I"m sorry," Melody said, "I keep on forgetting. Anyway Zordon appointed me to be Keeper of the Morphing Grid if something should happen to him. I had been staying in the Morphing Grid for some time. Even when the Armada tried to invade. I had to maintain the power for the Power Rangers. Even with the Alliance I had to remain hidden in the Morphing Grid to preserve the power. But this is so much more than the Armada or the Alliance. Game Master is ten times stronger than the Alliance and the Armada put together. He is very clever and very powerful." "Okay, so why did you grab my wrist?" Mikey asked, "What does any of this have to do with me? I'm on my way to one of the biggest events in my life and here you are saying an evil treat is here." "I want you to protect your world and become a Power Ranger," Melody said, holding out what looks like a red controller which read Angry Birds on the top. "You want me to become a Power Ranger?" Mikey asked, "Look at me! I don't have the built to be a ranger! I just started a personal trainer to become thin and then work on muscles. I don't know how to fight." "Michael," the old woman said, smiling at him. "How do you know my name?" Mikey asked. Mikey looks at the red controller. "Angry Birds?" Mikey asked, looking down at the controller. "Yes," Melody said, "Game Master uses creatures and monsters from games to do his biding so from the Morphing Grid different controllers appeared to fight games with games." "So what do I need to do to morph?" Mikey said. "Hold the controller out in front of you," Melody said, "Push start and shout out 'Let the games begin!' You'll know what to do and say after." Mikey paused for a moment, but then held the controller out in front of him, pressing the start button. "Let the games begin!" he shouted. Suddenly, just like in the show Kamen Rider Ex-Aid a bunch of screens came around him. One showed a picture of a metallic red suit, with the title 'Angry Birds' in the background and others had question marks on it. He punched at the picture with the red metallic suit and a belt appeared (yes, yes I know it sounds like Kamen Rider but it's Power Rangers; just bare with me). He saw a place that the controller could attach to it and he knew to attach the controller to the belt. When this happened, the one screen that he punched started flipping around like a coin and started to grow larger. The screen now was as big as Mikey and the screen went right through him. A red metallic armor appeared. It didn't look spandex-y at all like any other Power Ranger suits he had seen on the television. It was almost like the 2017 movie armor. It was sort of an Iron Man look but for the helmet he had goggles, just like in Kamen Rider Ex-Aid for a visor but it was black inside the goggles with angry looking eye brows up above the eyes. He had a bit of spikes on his helmet as well to symbolize hair. On his chest was a little chest plate armor, where in the middle was a red glowing crystal. His controller had a mini screen on it that had one green bar on it and on the bottom of the bars it read 'Perfect health'. Mikey could feel so much power going through him. "You are now a Power Ranger and called Player One, Red!" Melody said, handing him two more controllers; one blue and the other . "In order to defeat Game Master, you must build up a player base and find as many Players as you can." "I need to find as many Players as I can?" Mikey asked, "Well what does that mean?" "You are Player One, Red and very powerful you are," Melody said, "but with your power alone, you can only defeat Omegas. They are Game Master's minions. He has trillions of these creatures at his disposal. With two players, you can fight Betas. These are also minions of Game Master, but they are a lot stronger than Omegas. There are billions of these guys Game Master has. With three players you can defeat Alphas. They are the strongest out of the three. Alphas are all powerful. They are either monsters that Game Master created or other players Game Master has recruited." "Why does Game Master want to recruit humans if he plans to destroy the world?" Mikey asked. "Certain humans love to play games and want to be the best at gaming," Melody said, "This fuels Game Master and the more power he has the tougher the game he will make it for you to try and beat him." "So destroying the Earth is a game to him" Mikey asked, still looking at his suit, "and why California?" "Yes," Melody said, "He thrives on games! And I am not quite sure why he is fixated on California"
Mikey looks up at the desk he was suppose to go to and looks toward Melody. "Is there anyway I can get to California since I know I can't show my face here since I completely disappeared and they will take me into questioning?" Mikey asked. "Yes," Melody said, "on your controller you have the option of teleporting." "Teleporting?!" Mikey exclaimed, "That is so cool!" "Yes, you are now connected to the morphing grid so you can travel anywhere you would like," Melody said, "but before you go, there are certain rules. You can't willingly tell anyone that you are a Power Ranger. I say willingly because there might be certain times if someone is under attack and you need to help them out, but just don't go prancing around and telling everyone you are a Power Ranger. Second, the controllers I gave you will start to glow when they have picked the player." "What?" Mikey interrupted, "The controller chooses the Player? So that means the Red Controller chose me." "Yes it did," Melody said, "I just make the controllers but they have a mind of their own. Anyway, once the controller starts glowing, you can go off into the Gaming Dimension with that person, but since you'll be in the Gaming Dimension, Game Master will notice you right away. So you'll have to talk fast. Last, do not use your powers for personal gain, except for teleporting. If you start using your powers for personal game, devastating things will happen. You are to find your team and work together in destroying Game Master. Other rangers in the past have failed but I have a feeling that you and your team will just do great." "Do you know where I should look for my teammates? Other Players?" Mikey asked. "All I know is that they are somewhere around the Power Morphicon convention," Melody said, "and with that I must be gone. To teleport, just think of where you want to go and a ray of light will take you there. We'll be talking soon." "That was weird!" Mikey said, putting his controller in his suitcase, along with the others. He saw next to the hotel a place he could eat. It looked very cozy and so he went in there. There was a bar with stools when he first walked in. There were booths and tables to one side of the restaurant. He noticed a young man sitting at the bar. He had funny looking closes on. He had purplish pants on with multi colored squares on his pants. He wore a black looking coat and wore a pink sweater with holes in the sleeves to put his thumb through. There were colorful strings on his jacket and he had black curly hair with a baby face. The guy took one look at Mikey and smiled. Mikey noticed there was something very off with this guy. All of a sudden, Mikey felt he was in the Game Dimension with this guy that was smiling at him. "Who are you?" Mikey asked, getting out his controller, "Are you Game Master?" The young man started laughing. "What is so funny?" Mikey asked. The young man kept laughing as he got up. Mikey readied his controller just in case, but the young man just disappeared. He disappeared in red, black, and white diamonds. As he disappeared so did the diamonds. Just then clouds of black smoke appeared all around and Mikey was out of the Game Dimension. People were too busy looking at the black smoke that was now in reality to worry about Mikey disappearing and reappearing. Out of the smoke two hands formed and then bodies with two feet and a head. The whole body was black and on the head instead of a face, there was just a round silver mirror-like to represent a face. Mikey thought that these must be the Omegas Melody was talking about. He noticed that there was a corner off from all the people and he went over there so he wouldn't be seen. He pulled out his controller and pressed start. "Let the games begin!" Mikey said. Suddenly, a bunch of screens came around him. One showed a picture of a metallic red suit, with the title 'Angry Birds' in the background and others had question marks on it. He punched at the picture with the red metallic suit and a belt appeared. He saw the place that the controller could attach to it and he attached the controller to the belt. The one screen that he punched started flipping around like a coin and started to grow larger. The screen now was as big as Mikey and the screen went right through him. A red metallic armor appeared. It didn't look spandex-y at all like any other Power Ranger suits he had seen on the television. It was almost like the 2017 movie armor. It was sort of an Iron Man look but for the helmet he had goggles, just like in Kamen Rider Ex-Aid for a visor but it was black inside the goggles with angry looking eye brows up above the eyes. He had a bit of spikes on his helmet as well to symbolize hair. On his chest was a little chest plate armor, where in the middle was a red glowing crystal. His controller had a mini screen on it that had one green bar on it and on the bottom of the bars it read 'Perfect health'. He came around the corner and the Omegas were starting to terrorize the people that were still in the restaurant. He jumped up in the air and punched an Omega which was pulling on this girl's hair. The Omega fell to the ground and turned into a coin. Mikey thought that was weird and picked up the coin. The coin then started glowing and the glow went into his controller. The green bar glowed and he thought he understood it. The woman thanked Mikey and ran out of the building. Some more Omegas were terrorizing a family trying to eat their breakfast. He ran over to the Omega and was about to do a drop sweep to them when two Omegas came from behind Mikey and pushed him to the ground. When he got up, he noticed that the green bar had retracted a bit. He was mad and kicked one into the wall. The Omega turned into a cloud of smoke and disappeared. There was no coin left behind. Mikey realized that it probably doesn't happen all the time with the coins. He then took two Omegas and bobbed their heads together. Both of them fell to the ground in smoke. "Dang it!" Mikey said, hoping for a coin. The family thanked Mikey and left in a hurry. There were still more Omegas to be taken care off and he told everyone to get out of the building. He went over to one of the Omegas and started punching him. The Omega blocked all his punches and punched him in the gut, sending him flying to the wall. This was a greater force than being knocked to the ground and the green bar had retracted almost half way. The green bar was now a yellow bar. He figured if the bar was gone, it would literally be game over for him, just because of seeing the bar with the word 'Perfect health' under it. Now it read 'OK health'. He saw a young man was coming out of the bathroom and an Omega was walking over to him. "Hey creep!" Mikey said, looking at the Omega, "Come play with me instead!" The Omega turned and looked at Mikey. It started for him instead and as the Omega came close, Mikey punched it to the ground and it turned into a coin. Mikey picked up the coin and their was a glow and the glow went into the controller. The yellow bar turned back into a green bar where now the bar was at 75 percent instead of 50. "That is what I needed," Mikey said. He turning to the last two Omegas and just shouting 'boo' to them. The two Omegas disappeared out in fear since Mikey had destroyed all of their teammates. "This isn't so bad," Mikey said, looking around and noticing that the people were slowly coming back into the restaurant clapping and cheering. "Who are you?" the woman that got her hair pulled asked, "And who were those creatures?" "Well, ma'am I'm a Power Ranger," Mikey said, "and those were creatures known as Omegas. An evil creature known as Game Master has come to our world and tend to destroy it." "Was that a ploy for people to buy Power Morphicon tickets?" the bartender asked. "No, this is real," Mikey reassured them, "I am a Power Ranger..."
"You look more like a Kamen Rider," a young man said, with tan colored skin and short black hair. He spoke in a New Zealand accent. Mikey recognized him anywhere. It was Mike Ginn. Mike had come through the doors. He had a tank top on, wearing black shorts. Mikey went over to Mike and Peta-Marie and noticed that the blue and yellow controllers was pulsing with their colors; blue and yellow. No way, Mikey thought. 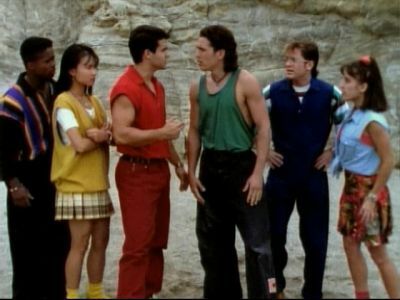 Could Mike, who played a Power Ranger before, and Peta-Marie, who played Alpha 5 in the movie, actually be chosen to be a Power Rangers. Mikey thought that was so cool. He didn't want to draw attention though. "Hello Mike and Peta-Marie," Mikey said, waving, and smiling within his helmet. "How do you know my name?" Mike asked, stepping back a little ways. "And how do you know my name?" Peta-Marie asked, stepping back as well. "Mike, you were the Gold Ranger in Power Ranger RPM," Mikey said, "and Peta-Marie, you were Alpha 5 in the Mighty Morphin Power Rangers movie." "Yeah," Mike agreed, "I was Gem, Ranger Operator Series Gold." "And I was Alpha 5," Peta-Marie agreed, "but who are you?" "I need you two to come outside for me," Mikey asked, not knowing anyway better to say it. "But we were going to have breakfast," Mike said, looking at Peta-Marie. "It will only take a minute or two," Mikey said, leading Mike and Peta-Marie outside. They went to a place where they couldn't be seen. Mike was a little worried about that and so was Peta-Marie. Mikey took off his controller from his belt and powered down. Again, the controller spoke: GAME SAVED. Soon Mike and Peta-Marie realized who the Red Ranger was and a smile went on their face. "Herezmikey? Mikey is that you?" Mike asked. "Yeah, that's me," Mikey said, awkwardly smiling, "I'm known as Player One, Red!" "This is awesome!" Peta-Marie said, "but why did you just interrupt us from having breakfast?" "Our world is in danger," Mikey said, "A creature known as Game Master has come into our universe and is trying to destroy the world through games. An old woman gave me this red controller and said that I need to form a team of Players in order to defeat this creature. Power Rangers do exist in different universes and she said that if we don't stop him, the world could be destroyed." Mikey reaches for the blue controller which is still pulsing with blue light. He also hands Peta-Marie the yellow controller which is pulsing a yellow light. "I believe this is your controller," Mikey said, handing Mike the blue controller, which is pulsing blue. "Oh wow!" Mike looks at the controller taking it, "Why is it pulsing blue?" "The controller has chosen you to be Player Two, Blue!" Mikey said smiling, "This is so cool that the controller chooses you." "Why is this cool?" Mike said, holding on to the controller and noticing the name Grand Thief Auto on it, "Why me? I'm just an actor." "You are more than an actor Mike," Mikey said, "You are a great young man who I like chatting with. You are very genuine and very kind. You are humble and you are not a guy who says 'Oh look at me, I'm a Power Ranger. Worship me' type of person. You take time to respond to your followers. You just don't ignore my messages on Twitter but respond to them. I think the controller chose you because you have a caring for others. And that is perfect for any Power Ranger team." "Oh thanks Mikey," Mike said, looking at the controller, "That means a lot to me." "So, I guess, I'm Player Three, Yellow?" Peta-Marie said looking at her controller and seeing the name 'Donkey Kong' on it, "Like Mike, why did the controller pick me?" "Just like Mike," Mikey started, "You are a very sweet young woman who I like talking with. You respond to your fans instead of ignoring them. Just like Mike, you care for people and you helped me decide to save my money for a car and tell me to save up for Morphicon. I believe the controller picked you because of warm heart." "Aww," Peta-Marie said, giving Mikey a hug, "That is very sweet of you. And I think the red controller made a wise pick in choosing you to be the red ranger." "I agree with Peta-Marie," Mike said, nodding his head. "So will you help me defeat Game Master?" Mikey asked, looking at both Mike and Peta-Marie. "Of course," both of them said in unison. Mikey started talking to Mike and Peta-Marie of what he saw and heard with Melody and told him about the Game Dimension. When he had just about finished explaining it to them, they heard people screaming in a distance. Mikey, Mike, and Peta-Marie looked and saw a seven foot creature with black and silver fur and spikes running down from his head to his back. He had a little tail and big bulging eyes. He had one shoe that looked white and red and the other shoe it was a baby blue color. The black was on one side of his body and the silver was on the other side of his body. He looked mean and powerful. "Shadow the Hedgehog?" Mike asked. "It also looks like Silver the Hedgehog as well," Mikey chimed in. "Guys, who cares what the creature is," Peta-Marie talking to the two gamers, "We need to defeat this creature so it doesn't hurt these civilians." "Are you guys ready?" Mikey asked Mike and Peta-Marie. "We will follow your lead," Mike said with Peta-Marie nodding. "Let the games begin!" Mikey, Mike, and Peta-Marie holding up their colored controllers, pressing start. Mike suddenly saw a bunch of screens came around him. One showed a picture of a metallic blue suit, with the title 'Grand Thief Auto' in the background and others had question marks on it. He kicked at the picture with the blue metallic suit and a belt appeared. He suddenly saw a belt wrap around him and saw a place that the controller could attach to it and he attached the controller to the belt. The one screen that he kicked started flipping around like a coin and started to grow larger. The screen now was as big as Mike and the screen went right through him. A blue metallic armor appeared. It didn't look spandex-y at all like any other Power Ranger suits he had seen on the television. It was almost like the 2017 movie armor. It was sort of an Iron Man look but for the helmet he had sunglasses-looking for a visor. He had a two small barrels on his helmet as well. He didn't get any cool spikes like Mikey did. On his chest was a little chest plate armor, where in the middle was a blue glowing crystal. His controller had a mini screen on it that had one green bar on it and on the bottom of the bars it read 'Perfect health'. Suddenly, Peta-Marie saw a bunch of screens came around him. One showed a picture of a metallic yellow suit, with the title 'Donkey Kong' in the background and others had question marks on it. She gracefully pushed at the picture with the yellow metallic suit and a belt appeared. She saw the place that the controller could attach to it and he attached the controller to the belt. The one screen that he touched started flipping around like a coin and started to grow larger. The screen now was as big as Peta-Marie and the screen went right through her. A yellow metallic armor appeared. It didn't look spandex-y at all like any other Power Ranger suits he had seen on the television. It was almost like the 2017 movie armor. It was sort of an Iron Man look but for the helmet she had eye looking visors, looking as big as the eyes on Donkey Kong. She had a mini yellow skirt and on the helmet she had what looked like ape ears on top. On her chest was a little chest plate armor, where in the middle was a red glowing crystal. His controller had a mini screen on it that had one green bar on it and on the bottom of the bars it read 'Perfect health'. "Player One, Red, ready!" Mikey said, standing in a pose. "Player Two, Blue, ready!" Mike said, standing in a different pose. "Player Three, Yellow, ready!" Peta-Marie said, standing gracefully, in a pose. An explosion occurred and behind the three were red, blue, and yellow colors bursting from the explosion. "Power Rangers!" the creature said, turning its attention away from the people, "So Melody decided to give people of this Earth, powers." "Are you Game Master?" Mikey asked. "I'm not Game Master," the creature said, still laughing, "I am Shalver, a humble servant of Game Master. I must complete my mission here but before I do that I'll have to destroy you, unless you want to play with me and team up." "Never!" Mikey shouted, "We will never join with the forces of evil." "That's right!" Peta-Marie chimed in, "We won't let you or Game Master concur this world." "You have no idea what Game Master is planning do you?" Shalver said, "It doesn't matter because you will be destroyed before the plan is put into place anyway." Shalver runs over to the rangers and holds out its hand. It has a baby blue ring in the center of its palm. Shalver starts to glow and raises all three rangers up in the air and throws them into a building, letting them fall to the ground. All three of them noticed that their green bars, which Mikey is back to full health, have retracted and it looks like everyone is at 75 percent with the green bar. So only 25 percent of damage happened to all three of them. "Mikey," Mike said, "what would happen if the green bar goes so low it disappears?" "I think we die," Mikey said, looking at both Mike and Peta-Marie. "Well thanks for sharing Mikey," Peta-Marie said, trying to get up. "We can't let it go that low," Mike said. "Well when I fought some Omegas in the restaurant," Mikey explained, "Some of Omegas that I destroyed had coins when they got destroyed. The coins bring back some of your health." "Is that creature and Omega?" Mike asked, "Maybe if we defeat him we can get our health back." Shalver laughed, hearing all this. "I'm not an Omega," Shalver said, "I'm not even a Beta or an Alpha. I'm a Mega Alpha." "Whoa! Melody never told me about Mega Alphas," Mikey said, stepping back a little ways. "Ha," Shalver laughed, "That old bat Melody doesn't know anything. Game Master is more powerful that before. It will take four players to destroy me." "Where are we going to find a fourth player?" Mikey asked, "Melody only gave me two other players." "Maybe I can help," a voice in he distance starts laughing. Mikey turns and it is Paradox standing up against a building. Both Mike and Peta-Marie don't know who this guy is but they get a bad feeling from it. Mikey, as well gets it too, but he goes up to Paradox and asks how he can help. Paradox pulls out a red and blue controller which is very different from Mikey, Mike, and Peta-Marie's controller. He shoves the controller into himself which red and blue sparks of electricity goes around him. 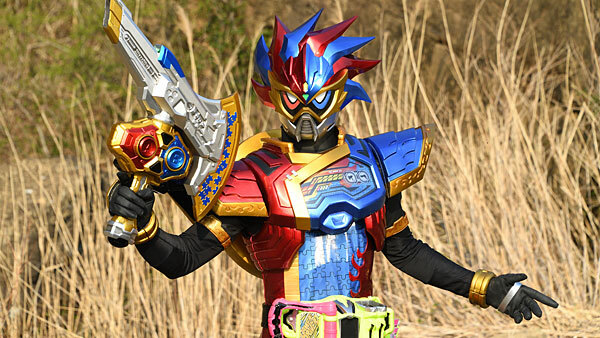 A circle of red and blue energy form around him and as in Kamen Rider Dragon Knight, the light travels through him in a circle. When the light had faded, Paradox was in a red and blue suit. It looked sort of similar to Mikey's suit with the googles and the hair. He had like a pharaoh like gourmet for his bottom half and he looked very powerful. "Player Four, ready," Paradox said, smiling under his helmet. Last edited by Ultimate Mikey; 09-01-2018 at 04:14 PM.